Allows the light through to the lower part of the mezzanine and it also permits to walk on it. It is really easy to install. You just have to make a hole in the desired position of the floor of your Tecrostar mezzanine and, after that, place both the frame and the glass. 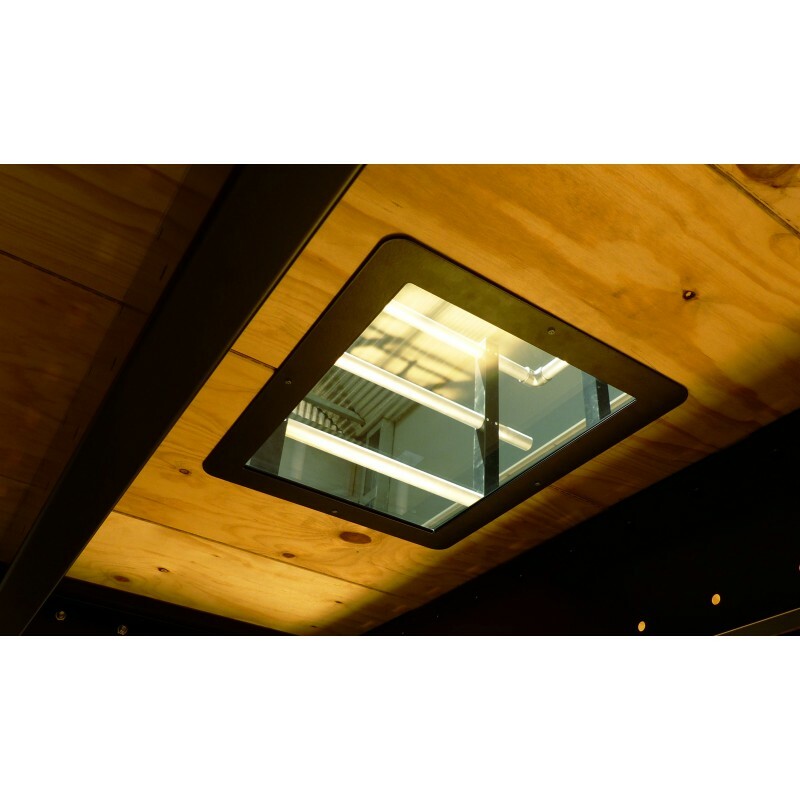 The frame of the skylight is made of steel and laser-cut, that gives a clean look to it without edges. 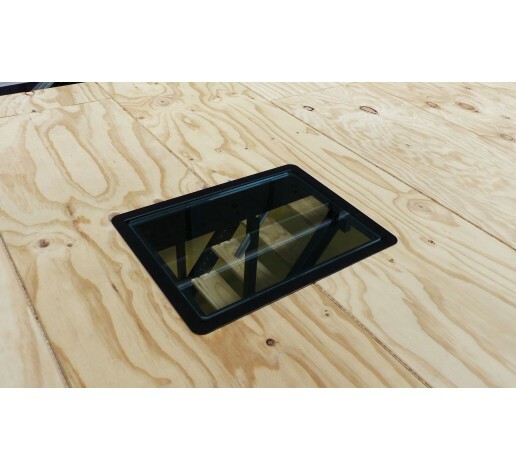 The Tecostar skylight does not include the glass (for safety reasons during the shipping). The glass should be a safety one, easy to find at any local market. Un produit simple qui fait de l'effet sur un plancher. Facile à poser.